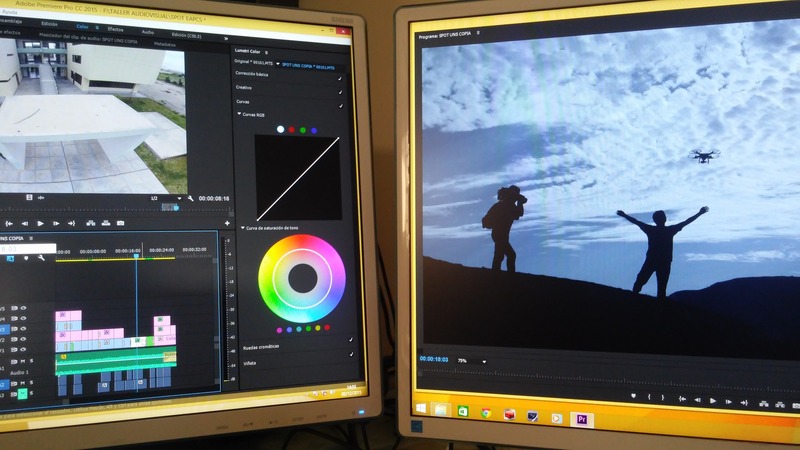 When it comes to editing videos on a budget, there is a whole host of free and cheap video editing software available to use such as Movie Maker for Windows or iMovie for Mac. Each have their own benefits and drawbacks, but generally, due to them being free they can be somewhat limited as to what they can do. If you are looking for a an easy to use a video editor that is free to use and offers simple editing capabilities such as trimming and cutting video clips, collating them together in a simple montage, applying simple colour correction techniques and adding music and titles, then YouTube has its own great, inbuilt video editing solution. One of the immediate positives of using YouTube to edit video is that you upload your video files to YouTube first. This means that wherever you are or whatever device you are using, you are able to sign in to your YouTube account and access the video files and projects that you wish to edit. However, when it comes to initially uploading the video files, you will need a relatively good upload speed on your broadband. If you find that your broadband speed isn't very fast, then it may be a good idea to leave the videos to upload overnight, so that they are ready for you to create and edit the following morning. How do you edit videos on YouTube? Editing videos on YouTube is actually very simple, and it is a feature that anyone who has a YouTube account can make use of. Similar to most conventional video editing software packages, the YouTube editor utilises a simple timeline where you can drag and drop video files, audio files, images and titles onto a timeline, in which you can then trim, cut and tailor them to the correct timings that you require. So let's jump straight in. The first thing you will want to do is upload some video files that you wish to use to create a video. If you already have the video files uploaded to YouTube that is great. Sign in to your YouTube account and on the YouTube homepage click the upload button at the top right of the screen. If you don’t want the initial videos that you upload to be publicly viewable, it will be a good idea to switch the default setting of "Public" to "Private" using the drop down box. You can then simply either drag and drop the video files from a folder on to the upload screen or click "Select files to upload" to search for the files on your PC. As mentioned before, it may take some time for the video files to upload if their file sizes are large and the upload speed of your broadband is slow. Make sure you give the videos appropriate names to make them easy to locate when editing your videos. If you captured the videos to upload on a smartphone, you can upload your video files via the YouTube app for iOS or Android. Make sure you are connected to a Wi-Fi network to avoid any nasty data usage bills! Once you have uploaded the videos that you wish to use, the next step is to navigate to the YouTube video editor. The quickest way to do this is to click on your profile picture at the top right hand side of the screen and then click "Creator Studio". Initially this will take you to your Dashboard, but on the left hand side of the screen you will see a drop down menu called "Create", within which you will find "Video Editor". The first time that you click onto Video Editor, a new video project will automatically open ready for you to start creating and should look similar to the image below. When starting a new project, YouTube will always name it as "My Edited Video" by default. The first thing for you to do will be to give the project a suitable name. On the left hand side of the screen you will see a large, rectangular black box. This will be your preview pane. Every time you make a change to your video, this will display a preview of the video that you are creating. On the right hand side you will see a list of all of your video files that have been uploaded to YouTube. And below this, you have your timeline. This is where you will be placing your video files, images, titles, effects and everything else to be used on the video that you create. The first step is to add the video clips that we wish to use on to the timeline. To do this all you need to do is click and drag the various clips on to the timeline. If you find that you have an extensive list of video clips to choose from, make use of the search videos bar to locate the clips you require more easily. Once you have added some clips to your timeline it is very easy to trim them simply by clicking and dragging at the end of each clip, or splitting clips at a midway point by using the blue timeline selection tool and clicking the scissors button. You can rearrange video clips by clicking and dragging them to a new position. You can then go in to change some of the parameters of each clip by clicking directly onto it, such as adjusting the brightness and contrast, changing the playback speed, stabilising shaky footage, adding filters and text, increasing or reducing the volume and much more. You also have the option to preview the video before and after adding effects and changes in a side by side view. On your video timeline, you will see that as well as there being a video track, there is also an audio track. On here you have the ability to add backing music and sound effects from a whole selection available through YouTube. At the left hand side of the screen under the "Create" heading, you will see "Audio Library". Navigate here to look at the full list of available audio with the Creative Commons Attributions that have to be applied to your final video. Some of the music available here you can use as freely as you wish, but others require you to attribute the composer in your video description. Have a browse through the music that is available and find one that works well with your video. You are able to sort the available tracks by genre, mood, instrument, duration and attribution that is required to make it easier to find one that fits with your theme. Once you have found the perfect track, head back to your video project, and click and drag it onto your timeline. If you have photos or graphics that you wish to add, you can upload them from directly within the video editor itself. Just press on the camera icon, then "Add photos to project" and locate the photos that are stored on your computer to add them to the project. Once you have added all of the content that you require in your video and trimmed, cut and placed them into the correct order, you can then delve into some of the further effects available to make your video stand out. For example, you can add transitions to separate each of the video clips and images on your video to help it play more smoothly by using the button below. Once you have found a suitable transition simply drag and drop it between clips on the timeline. If you wish to make a transition longer or shorter, simply click and drag the blue tags at each end of the transition. You can also add titles or banners to add context to your video using the button below. Using the drag and drop technique again, text can be placed as an overlay on an existing video clip, or placed as its own individual clip on the timeline. To edit and format the text, click onto the clip on the timeline and you will see editing options similar to those shown below to change fonts, size, colour, etc. Once you have finished editing your video, the next step is to save and publish it. When you are totally happy with it, press the blue "Create video" button at the top right hand side of the screen and you will see a screen similar to the below appear. It may take some time for your video to finish processing, depending on how long it is and how many video clips, images, and effects have been applied to it. By default, the video will appear as unlisted, meaning only those supplied with the link to it will be able to view it. To make the video publicly viewable (after you have checked that it plays correctly), click on the open padlock to the left of the video title, and select "Public" from the drop down list. If you are totally happy with the video you have created, you can then display it on your website, social channels, and wherever else you would like your online audience to find it.